That’s what Lonely Planet described Central Hotel in Macau. Central Hotel is very centrally located at Avenida de Almeida Ribeiro (San Ma Lo in Cantonese which means new street), the main street in Macau Peninsula. And it’s less than 50 metres away from Largo do Senado, the main and very charming square in Macau Peninsula. 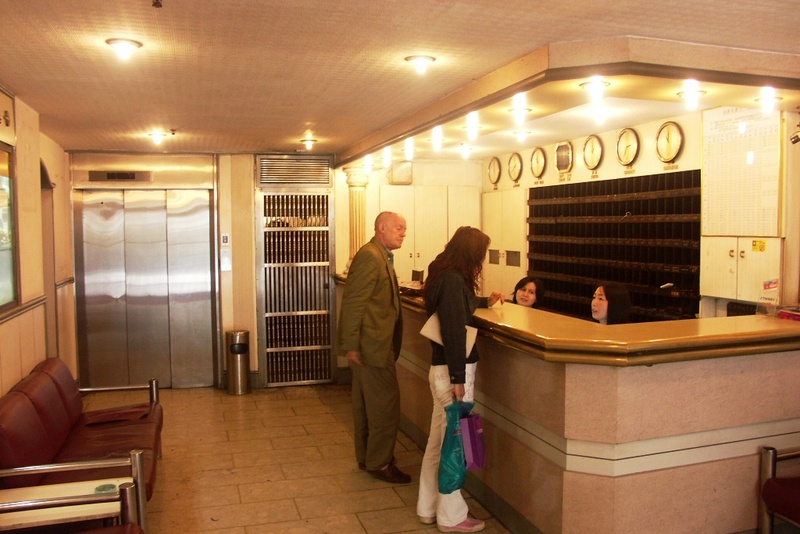 But it’s also the dirtiest and most ageing hotel I ever stayed. 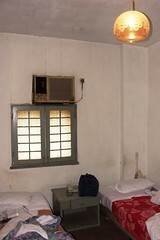 We’re charged MOP $250 for a four-bed rooms (2 rooms linked together) for a half-night (we checked-in only at 3.30 am). It was full rate and no discount for late check-in. Anyway, the rate for most hotels in Macau on weekdays is cheaper than on weekends (Friday and Saturday). The staff of the Macau Central Hotel asked us to squeeze in 5 people into the room, so we’re given only 1 room. 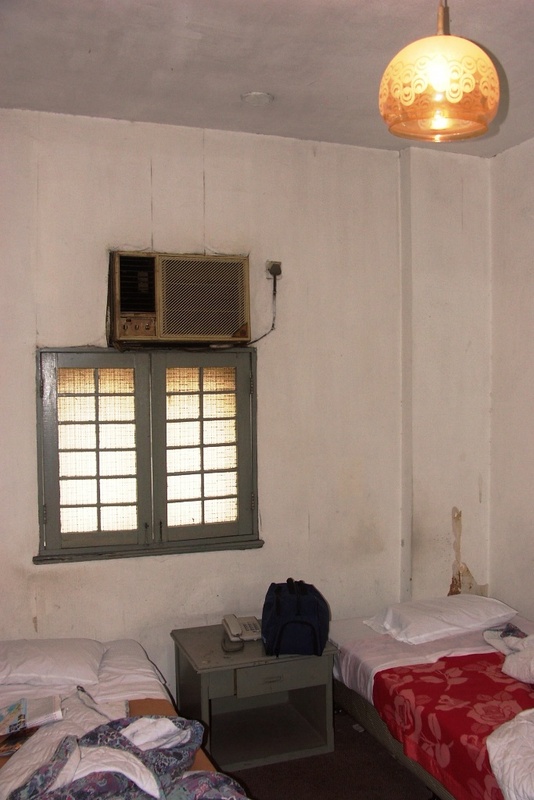 But the room was very dirty, under-maintained, ageing and horrible. The lighting was dim.